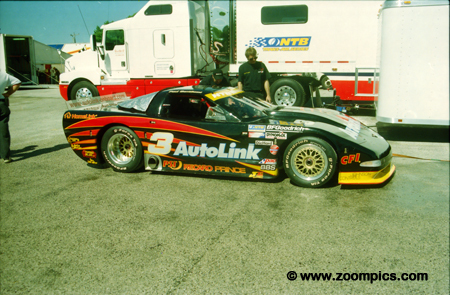 1998 was the thirty-third season for the Trans Am series. 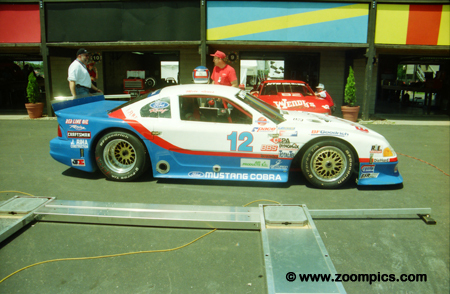 The championship had good support from BFGoodrich and used the manufacturer's g-Force T/A spec tire. Mid-Ohio was round five of the thirteen race season. The series was healthy - Mid-Ohio drew 40-entries with thirty-seven competitors taking the starter's flag. The series used a spec-tire which was the BFGoodrich g-Force T/A. Paul Gentilozzi started his No. 3 AutoLink Chevrolet Corvette on the pole - after rain washed out Saturday qualifying. The starting lineup at Mid-Ohio was determined by the Drivers' Championship point standings. In Order - the remainder of the top-5 consisted of Johnny Miller, and rookies – Chris Neville, Ross Thompson and Bruce Qvale. 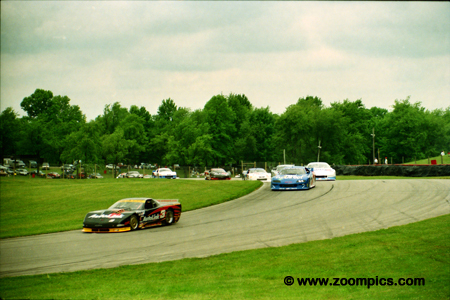 The first lap through the 'Carousel' and Gentilozzi leads Johnny Miller (Camaro), Chris Neville (Camaro), Ross Thompson (Mustang Cobra) and Brian Simo (Mustang Cobra). 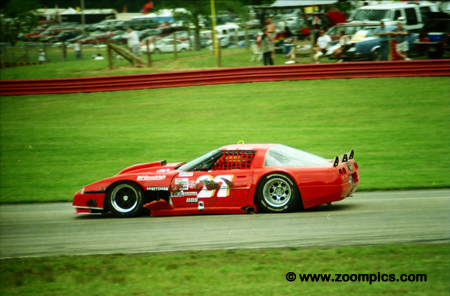 Gentilozzi entered Mid-Ohio as the favourite having won four of the first five-rounds. 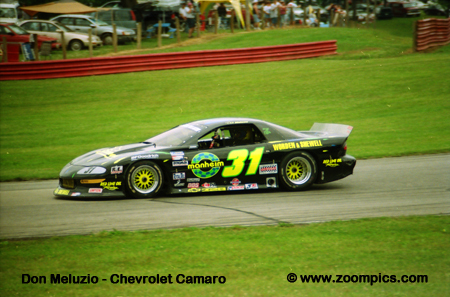 However, in fourteen previous Mid-Ohio starts he had never won. 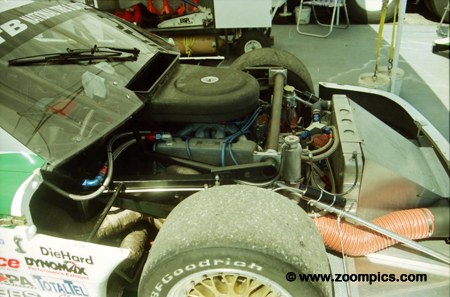 But this was not to be the case in 1998 as he beat his teammate, Bill Saunders, by 0.065-seconds. Brian Simo held the third position for the final 20-laps of the race despite facing constant pressure from Stu Hayner, John Miller and Bruce Qvale. Later in the season Simo won the Pikes Peak International Raceway event and finished second to Gentilozzi in the Driver’s Championship. The event’s full course yellow occurred on lap-14 after, Ohio driver, Dan Furey went off course at the 'Keyhole' and hit the tire wall. At the same time, Paul Alderman’s Mustang stalled and required a tow. Furey attempted a couple of laps but retired to finish thirty-fifth. Alderman was able to return to the race but finished well down the order. 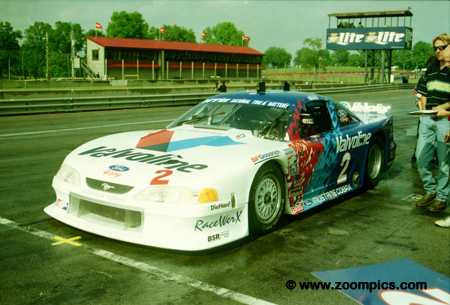 Series rookie and former SCCA National Champion Bruce Qvale started fifth but dropped back to twelfth early in the race. Qvale drove a steady race and after dicing with Michael Lewis, Max Lagod, Leighton Reese and Ross Thompson was able to move up to fifth at the checkered flag. For the third time in 1998 Johnny Miller started on the front. After heavy rain had forced the cancellation of qualifying series officials decided to set the grid by the current point standings - Miller was second. 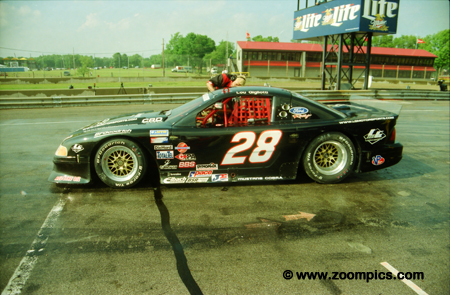 In the first 20-laps, Miller fell back to fifth behind – Gentilozzi, Bill Saunders, Brian Simo and Stu Hayner. But a late race spin by Hayner allowed him to finish fourth and maintain his second place in the championship. 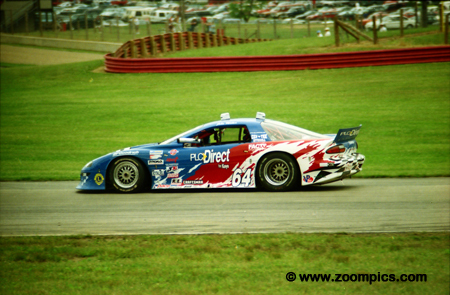 In his third Trans Am start, Lou Gigliotti won the rainy round-three at Lime Rock. As the grid was determined by points he would start in twelfth. Gigliotti advanced to eighth in the early going but fell back to fourteenth mid-race. He moved up the order during the last half of the race and finished sixth as the result of Stu Hayner’s late race spin. In 1998, at least, ten drivers were vying for the Rookie of the Year honours - one of these drivers was Ross Thompson. 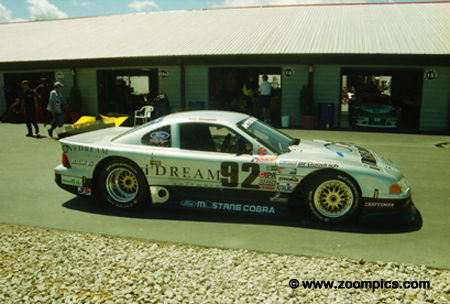 Thompson, a professional driving instructor, started fourth in the i-Dream Software Ford Mustang Cobra and finished eleventh. He had two podium results during the season and finished second to Chris Neville in the final Rookie standings. Leighton Reese driving a Pontiac Grand Prix had an eventful race. He started seventh but finished twenty-fifth. Mid race he ran in a group that included Michael Lewis, Max Lagod, Ross Thompson and Bruce Qvale. Reese and Qvale made contact which damaged Reese’s power steering pulley. He was able to continue but on lap-41, he made contact with Mark Pielsticker sending both cars into the gravel trap at the 'Keyhole'. Stu Hayner finished second in the season opener at Long Beach and did not return to the series until Mid-Ohio. With qualifying washed out and a starting grid set by driver standings Hayner was stuck in the eighteenth position. On the first lap, he moved up six positions and continued to make progress. With 2-laps remaining Hayner was sixth but a spin dropped him to a sixteenth place finish. Another SCCA National Champion entered in the event was Michael Lewis. Lewis competed at both the professional and amateur level. 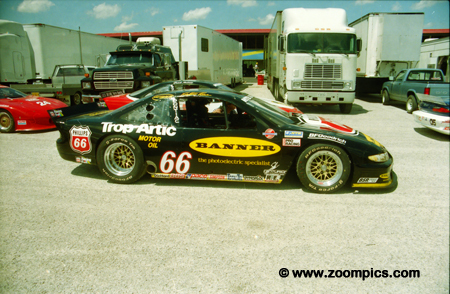 In 1995, he won the SCCA amateur GT1 title. 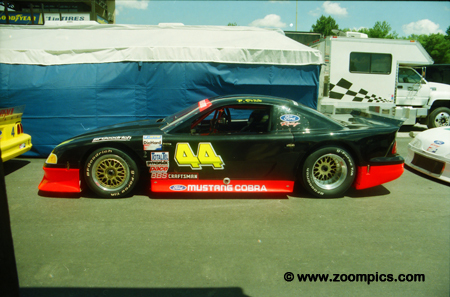 In the professional ranks, Lewis won the 1997 Trans Am 'Rookie of the Year' and 'Rising Star' awards. 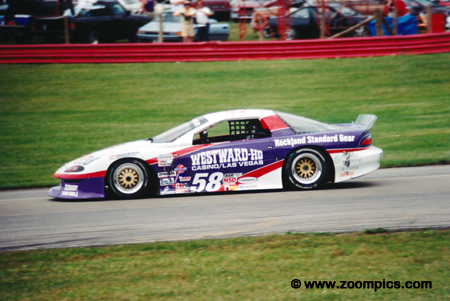 At the Mid-Ohio event, he started tenth but retired on lap-34 when the left-front spindle broke. Trans Am engines were naturally aspirated production based V8s with two or four-valves per cylinder. Aluminum engine blocks were permitted but with a weight penalty. The use of turbocharging and supercharging was prohibited. Teams were required to declare their engine choice and use it for the entire event. An engine change after qualifying would result in a grid penalty for those starting in the top-10. This is the Ford engine in Rick Lee’s Mustang.